The World Energy Simulation is a role playing exercise that enables people to try out the policies and investments that will allow them to reach their goals on climate change. With a focus on the mix of policy solutions that will lead to a more stable climate, this simulation can inspire hope that is grounded in our best understanding of the dynamics of the energy and climate system. To play World Energy, participants are divided into teams that represent different energy and economic sectors, and they negotiate with each other to come up with a global energy scenario that could lead to a safe and equitable clean energy future. Each team controls a handful of levers that are related to their sector, such as carbon prices or energy efficiency improvements. For example, the group focusing on energy supply has control over investment in renewable, gas, nuclear, and coal energy. 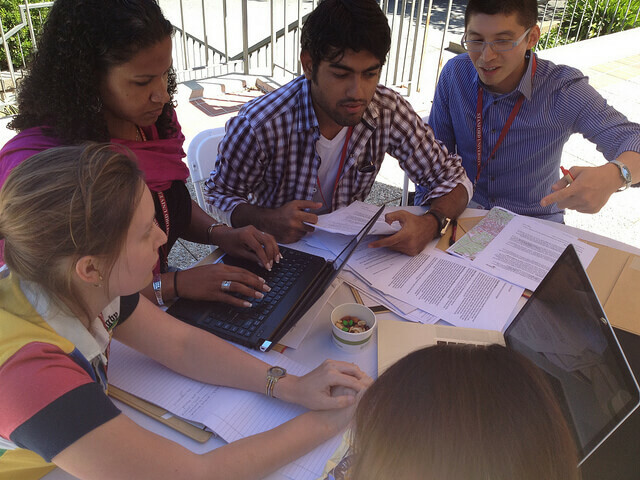 Groups negotiate and present their plans, which are compiled and analyzed in real-time with the En-ROADS simulator to determine their effects on the climate.